release for any baking. It is safe and healthy even when in continuous high temperature. 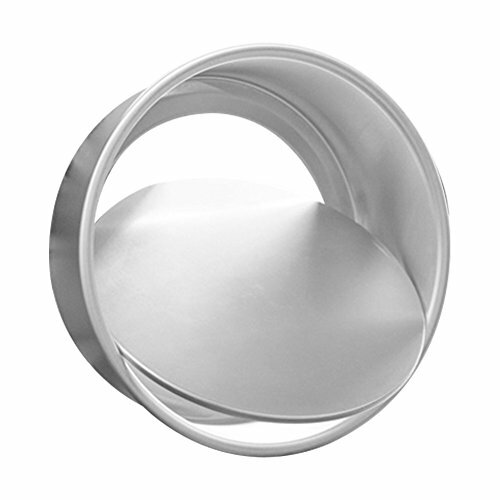 Should you have some suggestion or advice on Bakerdream Round cake pan or other bakeware, welcome to contact us. We do and always will improve our products and service. Removable Bottom design, easy to release and to clean, making baking simpler and easier. Heats faster and cool quicker allowing your recipes to turn out the way they should. Size: 6 inch 6.02x5.9x2.91" ; 8inch 7.91x7.79x2.95"
If you have any questions about this product by Bakerdream, contact us by completing and submitting the form below. If you are looking for a specif part number, please include it with your message.